Original Oil painting on cotton canvas, in white wooden frame, ready to hang. Framed dimension 58cm x 58cm. 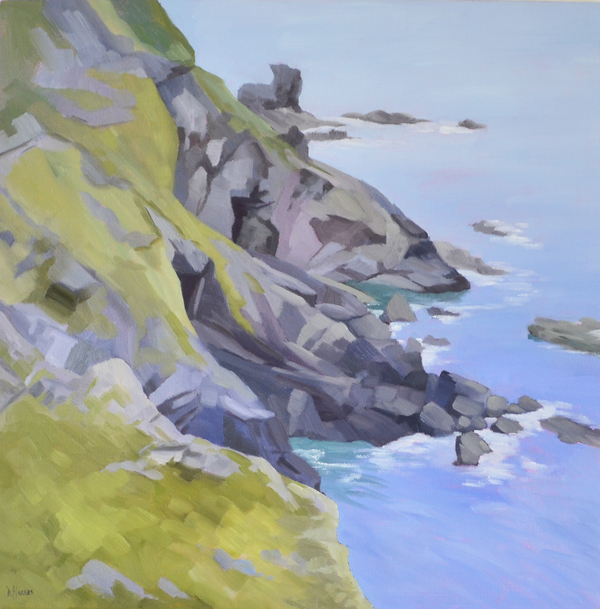 Oil study of rocks on the Cornish coastline at Hells Mouth. It's a beautiful and dramatic part of the coast with lovely craggy rocks.